Suha Cho was born in Korea and immigrated to Canada with her family at the young age of 4. Having been at Collingwood since kindergarten, Suha has grown up within this community and has fostered a true pride and love for the school. She is a very multi-talented artist with a wide variety of interests, ranging from being a key member of the senior basketball team to taking college level courses in history. It seems that Suha’s love for art has always been deeply ingrained. As a toddler, barely able to even walk properly, Suha took a marker and began to draw shapes on the walls of her house. After her parents got over their initial amazement – and, possibly, anger – they realized Suha’s affinity with art. Since then, Suha has been seriously pursuing this discipline and is taking outside-of-school art classes to fuel her passion. In the future, she aspires to further her knowledge of art and eventually become a curator while also creating her own artwork on the side. Suha attributes a lot of her talent to her largely artistic family. Her brother, Sanha, a Collingwood graduate, is now attending NYU Tisch School of Arts studying film. Her mother, Judy, is a gifted artist as well. In fact, Suha was heavily influenced by her mother’s own penchant towards art and often cites Judy as her inspiration. 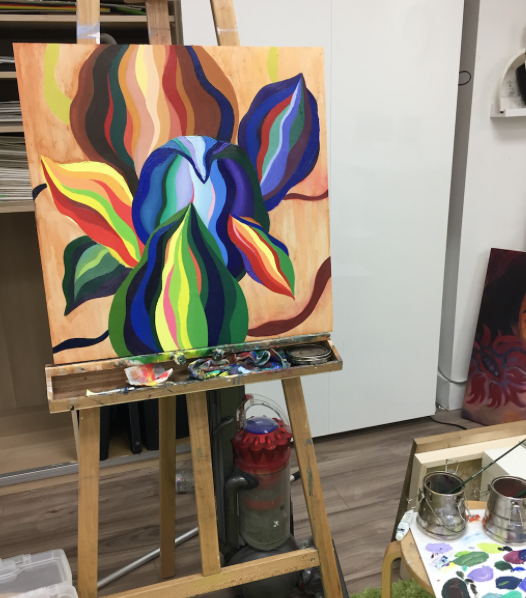 When creating her art, Suha loves to use acrylic and oil media. Her favourite style to paint and draw in is abstract, due to its highly interpretative and open characteristics. 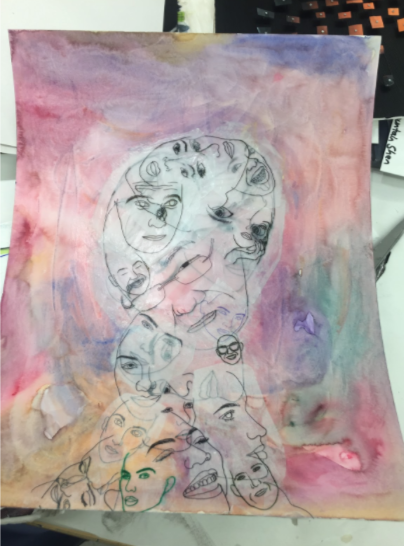 Suha believes that art is a universal language and can touch all those who see it, regardless of where they come from. Recently, she has been exploring the use of acrylics on top of wood and has begun to develop a unique and innovative style. Suha adds that while looking at other works featured in Arts Mag, she was in awe of all the talent displayed at Collingwood!